Charming four bedroom two and a half bathroom farmhouse on a private lane in Radnor. This 200 year old picture perfect home has all newly renovated bathrooms and an updated kitchen. Enter this light filled home through a brick floored entry with a surround of windows. Off of the front hall is a gracious Dining Room with unique built-ins and a cozy Living Room with a fireplace. You will find more built-ins and another fireplace in the library. The Kitchen has granite counter tops, stainless steel appliances with an eat-in dining area and command center. Step down just a few steps to the Family Room, Mudroom, Powder Room and convenient Laundry Room. The second floor has four family bedrooms, one with a fireplace, and two new bathrooms. The lower level is finished and perfect for additional living space or workspace. 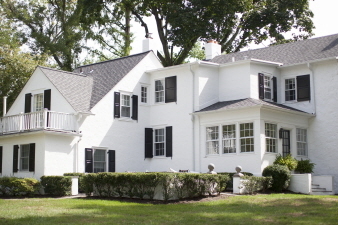 This classic home exudes charm and has hardwood floors throughout. The incredibly low taxes, brand new roof, professional landscaping, and shed with electricity make this house irresistible.